RBTH presents a selection of views from leading Russian media on international events, featuring reports on the conflict between Ukrainian oligarch and Dnipropetrovsk governor Ihor Kolomoisky and security services over state pipeline operator Ukrtransnafta and the potential consequences, as well as elections in Moldova’s autonomous region of Gagauzia, and resounding success for Marine Le Pen’s nationalists in French local elections. 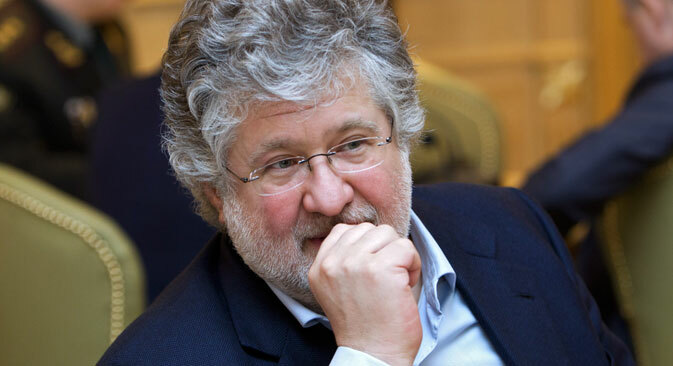 Ukrainian security officials have openly accused associates of the Dnipropetrovsk Region governor and oligarch Ihor Kolomoisky of criminal offences, reports business daily Vedomosti. Valentyn Nalyvaichenko, head of Ukraine’s security services (SBU), said that Kolomoisky's deputies Gennady Korban and Svyatoslav Oleynik had been involved in harboring members of the criminal group that last week killed an officer of the SBU, Vedomosti explains. The newspaper reminds its readers that the conflict was preceded by the appointment of a new head of Ukrtransnafta, the nominally state-owned pipeline operator controlled by Kolomoisky. According to Dmitry Marunych, director of the Kiev Institute of Energy Strategies, it may take months for the state to obtain control over Ukrtransnafta and there is no guarantee of success, but its loss will not be critical for Kolomoisky. "The departure of Kolomoisky will hardly rationalize and make the position of the Ukrainian political elite more predictable regarding a political settlement with the Donbass republics," the head of the Center for Political Conjuncture, Alexei Chesnakov, said in comments to Vedomosti, referring to the self-proclaimed “people’s republics” with which Kiev has been fighting for control of eastern Ukraine for much of the past year. In case of the disappearance of the "Kolomoisky factor," the current truce in the Donbass may be strengthened, as it is his battalions that have violated the ceasefire most, Russian Reserve Colonel Viktor Murakhovsky told the newspaper. The Central Election Commission of Gagauzia, a traditionally pro-Russian region of Moldova, has announced preliminary results of the autonomous region’s presidential elections, the business daily Kommersant writes. Irina Vlach, supported by the pro-Russian Party of Socialists of the Republic of Moldova (PSRM) received 51 percent, leaving the competition far behind. Her victory will allow Moscow to reasonably argue that not all of Moldova is seeking closer ties with Europe, the newspaper notes. This is the second major success for the Kremlin in Moldova in less than a year – the PSRM received the most votes in the November parliamentary elections and formed the largest faction, writes Kommersant. Local elections are to be held in Moldova before the end of the year, and the task of the Moscow-backed socialists is to win them, too, writes the newspaper. Moldovan experts expect that Russia will continue to build support for pro-Russian forces in order to strengthen its positions in the country. "Gagauzia is an episode in the strategy that the Kremlin is pursuing in Moldova," the head of the country’s Institute for Public Policy, Arcadie Barbarosie, said in an interview with Kommersant. "The strategy has withstood the test in Gagauzia and will be expanded and used during the local elections." The first round of French departmental or county council elections has produced historic results: The extreme right-wing National Front has never been able to enlist the support of so many voters at local elections, Nezavisimaya Gazeta reports. The party came first in 43 of the 98 departments covered by the elections, while the ruling Socialists suffered a crushing defeat. According to Yury Rubinsky, head of the Russian Academy of Sciences’ Center of French Studies, the local elections have little political significance, with turnout traditionally low. But this time, more than 50 percent of the French participated in the elections after the leaders of the major parties succeeded in mobilizing their voters. Le Pen is also preparing for the presidential elections, and, if nothing changes, she will win in the first round, said Rubinsky. According to the expert, discussions are already taking place in Berlin about what will happen if Le Pen becomes president of France. "There will be a revolution: The Eurozone will collapse, and the EU will come under attack as well. This is a serious issue, and it is more important for Merkel than Ukraine," said Rubinsky.